Renata Teodoro hopes the scholarship offers more than financial support to students brought here illegally as children. 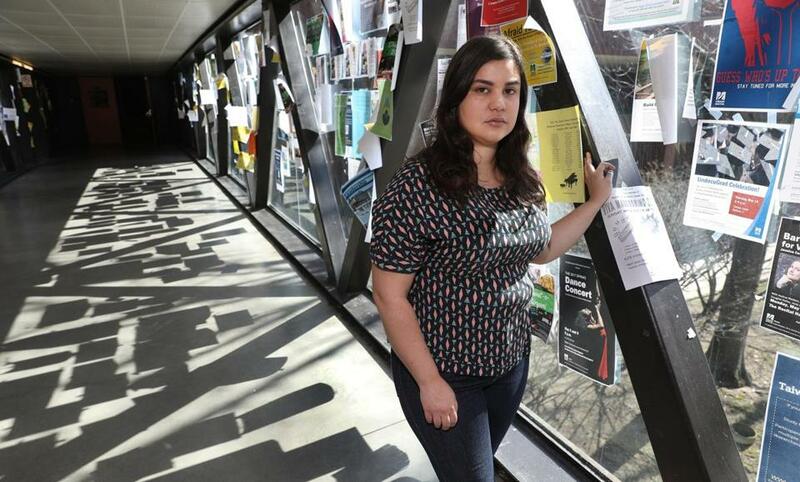 Renata Teodoro established a scholarships for undocumented UMass Boston students. Renata Teodoro’s decade-long journey through UMass Boston has been marked by twin struggles with finances and immigration. Now the 29-year-old college senior is smoothing the path for others. Last year, Teodoro, whose family immigrated from Brazil illegally, established the Tam Tran and Cinthya Felix Immigrant Achievers Scholarships for undocumented UMass Boston students. The scholarships were named for two graduate students who, before dying in a Maine car accident, fought for legal status for immigrants brought to the United States illegally as children. Teodoro helped raise funds through events at the school and faculty and staff donations. Three students received $2,000 apiece this spring. Teodoro is one of more than 750,000 immigrants protected under the Deferred Action for Childhood Arrivals policy, an Obama administration executive order that temporarily protects children brought here illegally. When her family was deported soon after she started college, she quickly went through the $10,000 she had saved for school. Without family financial support and unable to qualify for traditional college aid, Teodoro took retail jobs, cleaned houses, and even used crowd-funding sources to raise money so she could take a few classes at a time toward her degree. Later this month, Teodoro will graduate with a degree in philosophy and public policy. Deirdre Fernandes is a Globe staff writer. Send comments to magazine@globe.com. Follow us on Twitter @BostonGlobeMag.